Douglas College’s Office Administration Program is on the move. As of September 2017, the program and all classes will be relocating from the New Westminster Campus to the Coquitlam Campus. This change in campuses is needed so Douglas College can continue to grow and offer even more relevant learning opportunities. Although the location is changing, the instructors, faculty support and course material will not be affected. Through BCcampus, Douglas College also offers online options with the Legal Office Skills – Online Certificate and Medical Office Assistant – Online Certificate. 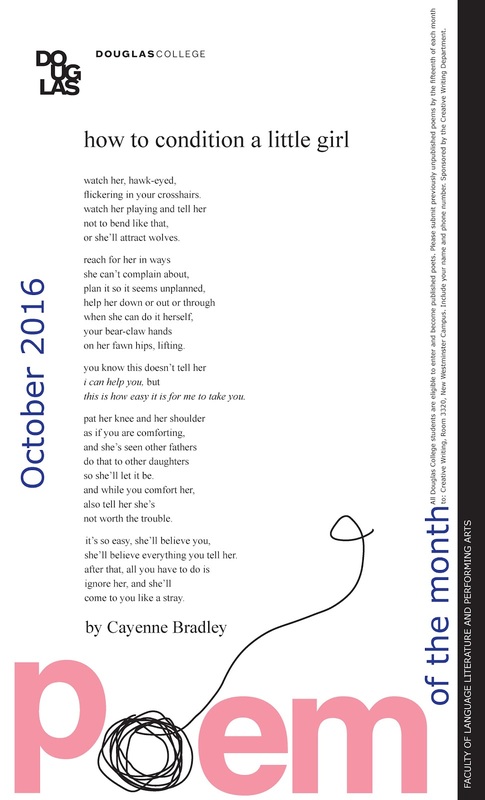 Click on the image to the right to see an enlarged version of this month’s poster, featuring "how to condition a little girl" by Cayenne Bradley. 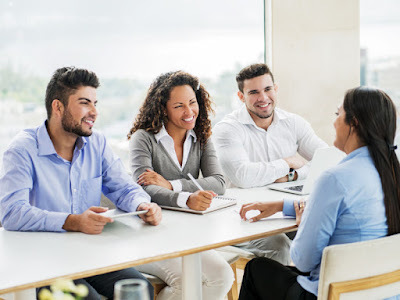 For grads looking for pursue graduate studies, there's an Honours option, though both the regular and Honours degrees are recognized by Simon Fraser University for graduate school and by the University of British Columbia and University of Victoria law schools. "My goal is to eventually obtain a PhD in Criminology. 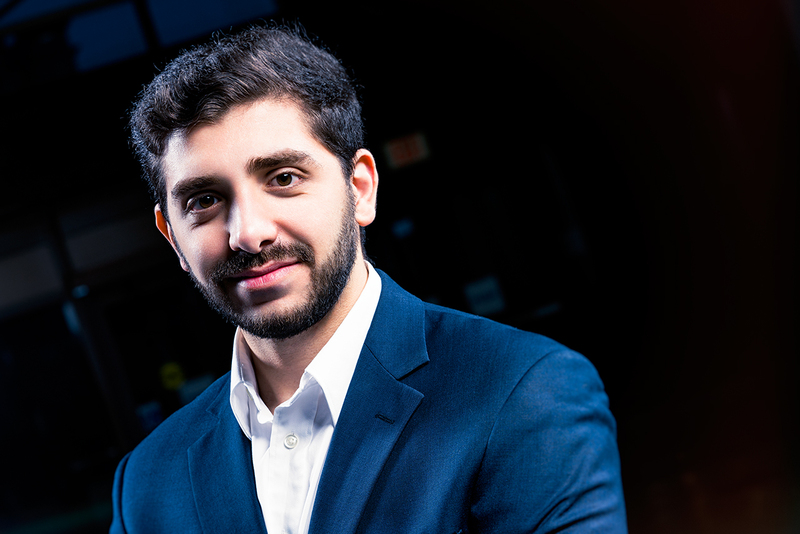 From there, I plan to become an instructor at a post-secondary institution," he said. Simran K. was hired by the CRA to work in their IT department. Simran K., a Computing Science and Information Systems student, completed two Co-op terms with Canada Revenue Agency (CRA). After completing her Co-op terms, Simran was hired by the CRA to work in their IT department part-time and also serves as a CRA Campus Ambassador. “I’ll be providing information on the student hiring program, sharing my experience working in the public service, acting as a liaison between Douglas College and the CRA, and increasing awareness about positions at the CRA,” Simran said. Simran is well-positioned to launch her career with the CRA when she graduates next spring. Bank of Montreal (BMO) New Westminster Station Square is hiring for a Customer Service Representative posting (#1600019214). This role is three full days a week – Monday, Friday and Saturday (the branch’s busiest days). With the right scheduling of classes, you could manage this role while finishing your studies. If you are looking at a retail banking career with the opportunity to move up within the branch environment, you’re an ideal candidate! To find out more, contact the Student Employment Centre (604-527-5889 or sec@douglascollege.ca) or visit BMO’s website. Oct. 25 – Meet the Pros: Secure Your Future - Employers representing various organizations in the securities and public safety sectors will be on campus to take part in an employer-panel event, answering questions about what it takes to secure work in their industry. Canada Border Services Agency, the RCMP and the New Westminster Police Department are a few of the organizations attending the event. 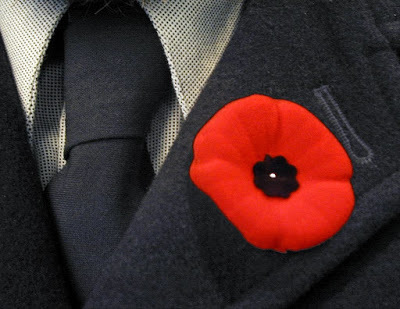 For more information and a full list of employers, see here. Nov. 2 – College 2 University 2 Career - In collaboration with SFU’s Career Services Office and Science Department, this event will be of interest to all Douglas UT Science students. Learn tips and get advice from current SFU students (and Douglas alumni), as well as science sector employers on what it takes to make your education-to-work journey a successful one. 5:30-8pm at SFU Burnaby. Contact the SEC to register. Oct. 27 – Canada Border Services Agency will be in the New Westminster Campus Concourse recruiting for Summer 2017 job opportunities. 10am-2pm. Bring your resumé! Let us help you find - and then do - what you love. Be the first to know when employer-related events are coming to campus or receive job alerts for off-campus work opportunities posted on our job board. Register now with the Student Employment Centre. Click on the Students/Alumni icon on our home page and follow the prompts to complete your free user registration. The SEC and Co-op offices are in rooms S2844 and S2850 at the New Westminster Campus, and in room A1430 at the Coquitlam Campus. Douglas College's Coquitlam Campus marks a milestone this week. On Oct. 18, students, staff and the public are all welcome to join us in celebrating the campus' 20th anniversary. Coffee and cake will be served in the Atrium from 1:30-2:30pm to mark the occasion. “Looking back on the last two decades, Douglas College has grown and evolved so much,” Douglas College President Kathy Denton said. “We will continue to develop our programs and services to inspire our students to do what they love and be good at it." The parcel of land that the campus is now built on was previously a gravel pit. Valued at $3 million at the time, the property was sold by the City of Coquitlam to the College for a whopping $1 in May 1990, on the condition that a campus be built. The land value was considered to be the municipality's contribution to the joint development of a community centre. Work on the new campus started in January 1995. However, the funding for the first phase of construction was not sufficient to build and equip facilities, leading the College to launch its first capital campaign. Through the Douglas College Foundation, with help from the Douglas College Board and a steering committee, the Building on Excellence campaign was launched, with a goal of raising $5 million. The team worked tirelessly, and achieved their goal. 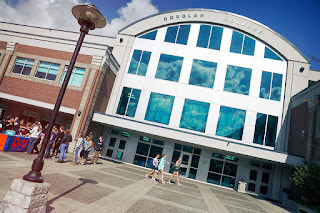 In September 1996, Douglas College's Coquitlam Campus welcomed its first students. 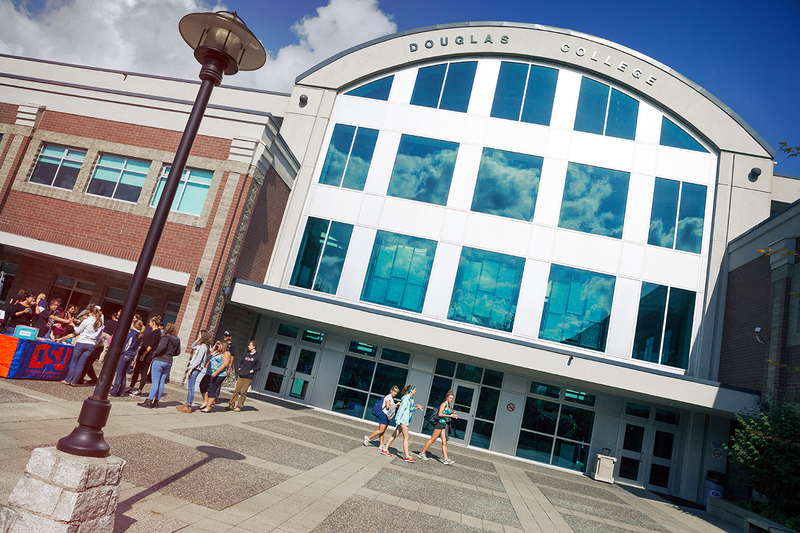 Today, approximately one-third of all Douglas College course registrations are at the Coquitlam Campus. On Oct. 20, in an effort to prepare for a potential earthquake, Douglas College students, employees and visitors, along with thousands of other British Columbians, will participate in the Great British Columbia ShakeOut. The ShakeOut is the largest earthquake drill in Canadian history. Around 10:20am on Thursday, Oct. 20, at the New Westminster and Coquitlam campuses, a public announcement will be broadcast advising we are about to start the Great British Columbia ShakeOut earthquake drill. When you are advised the drill is starting, carefully drop to the ground, take cover under a desk or table and hold on. If you are not near a desk or table, or are physically unable to drop, cover and hold on, cover your head and neck with your arms and crouch in a corner, away from any glass. The drill will last around 90 seconds. You will be advised when it is over. Constable said it's crucial people are prepared to take the correct action in an earthquake. “This is about how to take that immediate life-saving, injury-reducing action. In a small or moderate quake you may hear objects rattling in your office or classroom, or feel a quiver under your feet. In a large quake, the ground or floor will move – possibly violently – and you may feel dizzy and unable to walk. 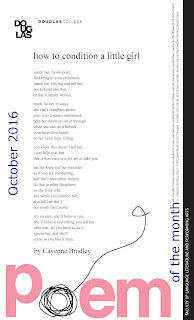 You will probably feel shaking and rolling," she said. If you have additional questions, ShakeOut fact sheets are available for people with disabilities and post-secondary institutions.